Bungie’s Luke Smith, lead designer on the Vault of Glass, had an interview with Kotaku.com discussing the raid. He talks about challenges they faced, the reasons behind some of the design decisions, raid matchmaking, future raids, and much more. The raid feels like it was designed by an entirely different team from the rest of Destiny. Was that the case? Luke Smith: In a certain way, it was, but it also wasn’t. The raid team is a part of the design team here. We worked in a pretty isolated and cool way where we were able to explore a bunch of ideas, we had an entirely different set of constraints from some of the other teams. 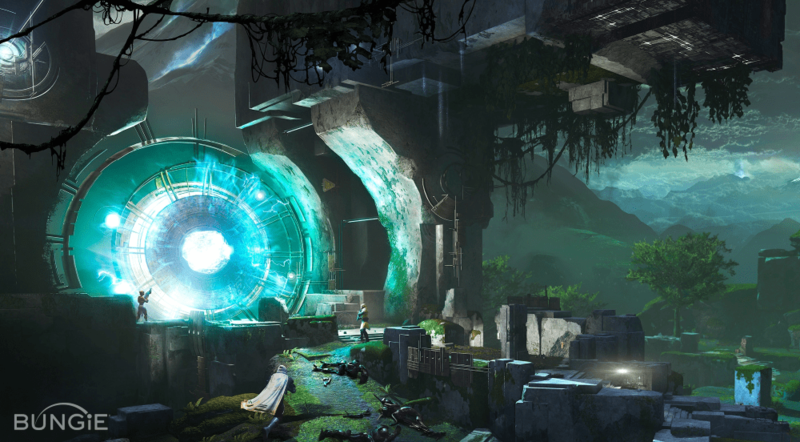 The pillars of raids were things like “cooperation required,” “voice required.” We wanted to make assumptions in development that players were going to be able to communicate with one another, which informs and liberates us to explore a bunch of different ideas. 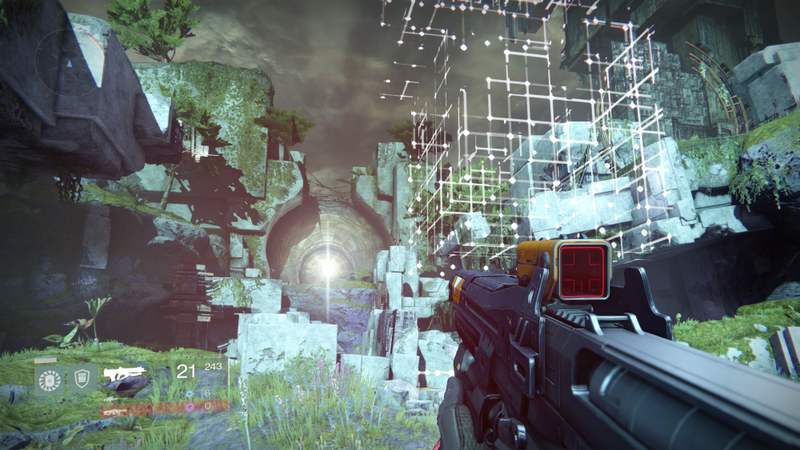 What was the size of the group that designed the vault of glass? The Vault of Glass was the product of about, through the course of the project, probably four designers on the team, and then we had an artist… and we had a nation of people working on spec-ops, effects, audio. I mean really, [it was a] giant, cross-team effort. But the design team for it is very small. Things like the shield relic, the sandbox team built that. We got a lot of support from every team at Bungie. Are you surprised by the reception the raid has gotten? We’re humbled about it. The night that the raid launched, I was sitting at home back in Michigan, watching people go through the vault, watching people break into it. Watching the first group that were streaming crack the door on the final encounter. That was just awesome to watch, and I think that was really gratifying for both the raid team and also, for a lot of the folks from here. To get to check that out, to see the fan reaction to that, was really exciting. 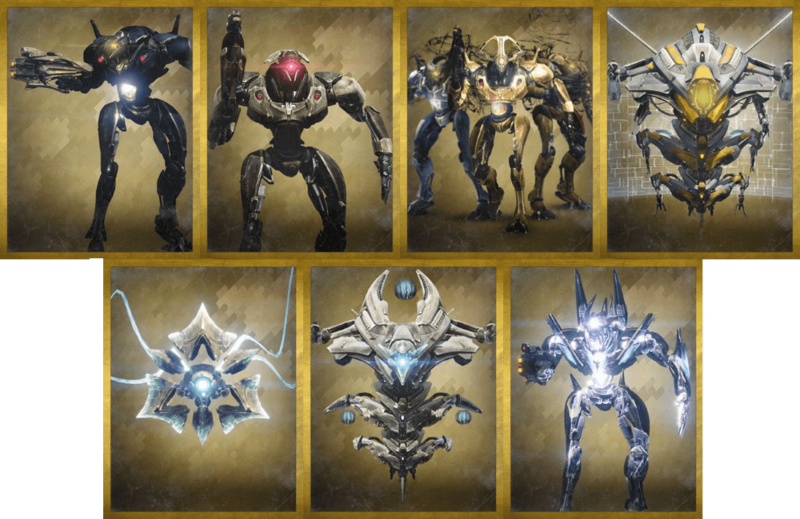 There are thirteen or fourteen unique design elements in the raid that aren’t in the core game. Why isn’t any of the stuff in the raid present in the rest of Destiny? I think that in a bunch of ways, the raid team is doing a lot of forward-looking development. I think that we were given the freedom to explore, and that freedom manifested in a bunch of ways, whether it was the resources or time to test out different types of objectives and different types of experiences. Some of what you’re really describing when you talk about the thirteen or the fourteen bespoke mechanics come very simply down to different ways to fail. And that’s the thing that we were able to breathe into the action game in raids, and I think it’s something that we’re definitely looking at across the entire breadth of the game going forward. It’s funny, there are fourteen unique ways to fail in the raid, but there are also fourteen ways to succeed! It feels really cool when you figure out this new way to succeed, so there are two sides of that. Watching people play, do you get a sense of, “Oh, okay, we could get away with this sort of thing in the main game”? Well, you’re giving us an awful lot of credit. Look at the raid versus the structure of the rest of the game. The raids are linear in a way that a given suite of missions [isn’t]. From encounter to encounter, in the raid, we’re able to build your knowledge base and teach you more in a very predictable way. And I feel like sometimes we can’t assure [that] organically in sort of a more linear campaign. We had this really good advantage of freedom, flexibility and the knowledge of how you’re going to be able to constrain players. Yeah, that progression to the final boss Atheon, how you go through the time gates, and you learn how those work, and you learn how the relic works, and then you have to put it all together. It’s this constant progression. We’re really happy with how the Atheon encounter turned out. For us, it really feels like the culmination of the raid, in terms of all the things we’re teaching you over the course of that experience, we’re trying to introduce you to different verbs, and the natural extension of that as you get further into the raid is to ask you to combine all of those verbs together over the final culminating battle. Did you guys consider putting a gorgon in the final encounter? You know, we didn’t really talk about that particularly, because we always sort of knew that the gorgons were going to be this special thing that we wanted to put in a special moment. [Laughs] Something like that, you’re sort of getting to one of the really fun parts about working on [the raid]. You’re right, we could build that, we could find a way to leverage those guys in a different raid on venus. How many people have beaten the raid? What percentage of people who own the game? 36,181 have completed it on hard. 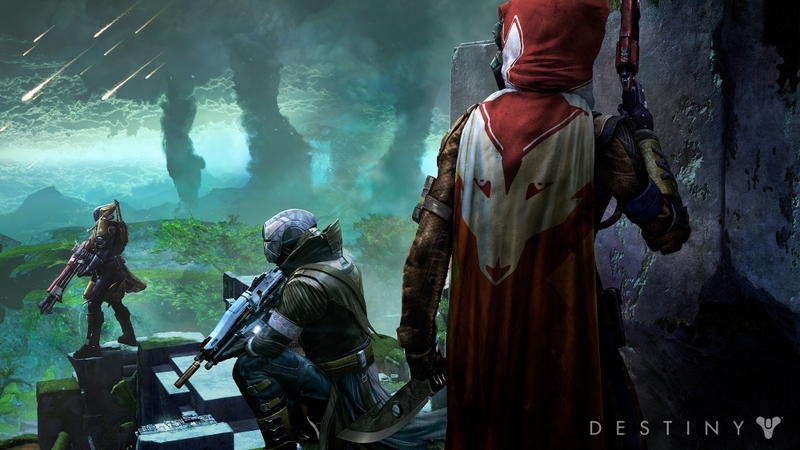 Do you think the raid could be completed by fewer than six players? Yeah, I saw a video this week where a group completed it with less than six players. What was you guys’ thinking in leaving just about everything unexplained? The raid really is about a couple of things at the core. It’s about a sense of discovery, whether it’s discovering a new environment or discovering how to tackle the problems that you’re about to encounter with your teammates. And when you think about what you want to explain, if you want the player on a journey of discover, well, we didn’t want to explain much to them at all. Part of the fun, in fact most of the fun, is figuring it out on your own. Absolutely. We were worried about making something that was too complicated or something that wouldn’t feel like it built organically over the course of the experience. But we understood and we knew that we were trying to build something that would bring a group together, teach the group, and then test the group. When you have that sort of charter that you’re following, as a team, as an entity it allows you to do a lot of editing to ensure that you’re not getting to a place where it’s totally confusing or it doesn’t make good sense. Worry is a good word, I think that we spent a lot of time worrying about how it was going to go over, because it was so different than stuff that we’ve done. Was there anything that was too difficult? I think that the tuning process in general is really organic, using a bunch of Bungie employees as a bar for reaching a normal difficulty. The normal difficulty of the raid for any motivated group of six players who are committed to getting together and playing, [is intended so that they can] have a good time playing. It’s easy to make something very hard. It’s hard to make something that players are going to learn, fail at, and have a great time playing. Anything specific, any one section of the raid that you had to change? I actually don’t want to talk about any of the stuff that we wouldn’t have pulled out because it was too hard, because I think that some of that stuff is stuff that we may use in the future, and some of that stuff is stuff that, you know, got cut for a reason. Oh, I guess I’m wondering more about something, like, say, the Oracles section used to have the oracles spawning too fast, and people couldn’t keep up. How can you tell that that’s the right speed? Playtest [and] iteration. Those two things. We played the absolute crap out of this thing internally. Something like the enrage timers for the bosses, those to me feel really great, the team did a great job of getting those bosses to a place where if you play well, you miss the enrage, and if things start to get out of control, the plates start to fall and crash to the ground, and all of a sudden there are minotaurs everywhere. Do you have a suggested team makeup that works best? We found having a titan was absolutely crucial for the final boss. No, and I’m pretty reluctant to even talk about team composition because I think that there’s a real danger in someone perceiving something of that, like, the creativity and the strategy that comes out of the community is far more interesting than anything I could suggest. We had a couple of strategies that we came up with to beat the templar and Atheon. To beat the templar, there’s a pretty established method method where you jump up onto the southwest pillar. You know what I’m talking about? So, that kind of a strategy…did you anticipate that strategy? Did anyone in playtesting discover that, or was that something that came out of players? So, are you talking about the strategy-slash-exploit where the shield gets taken out of the arena? It’s a strategy where there’s a pillar in the southwest and if everybody jumps up onto it you can stay out of the line of fire and not worry about too many of the adds, and the shield-bearer can just fire on the templar pretty regularly to bring down his shields and everyone can just pour it on. I would say in that particular case, that’s something I would put in the “clever use of game mechanics” bucket. And I would imagine that’s something that we’ll be addressing in the near future to ensure that the templar is playing at his appropriate difficulty where the adds aren’t something that we let you trivialize and ignore. What’s funny about it is, it was still not easy. Like, during one of the strikes, there’s an instance where you’re fighting the vex nexus and you can stay up in the top area and that minotaur comes up behind you and attacks you. I think that those kind of things… both of those things you outlined are super educational for us, and like I alluded to earlier, in the case of the templar or elements of it not working as intended, we are gonna be supporting the game and ensuring that those things get fixed. I think that version of the way you’re describing the encounter is the way the encounter currently plays, there are some unintended elements from that that we are going to be addressing. Argh. I’m interested now! I want to know what you guys didn’t intend! We’re going to be, in the near future, we’re going to be updating that encounter. Do you think that’d be a good reason for people to replay the raid? That it’s going to be harder, so they can’t use the tricks they used to use? I think that some of it is just making sure that… there’s this one way for us to talk about this where it feels like we’re making something harder, but in the case of making fixes to the raid, they have the side effect of making the encounter harder, but they also make the encounter meet the stated goal for a given encounter. So to talk loosely about the final encounter for the raid, in the encounter, our goal was to have an encounter where each player in your raid needed to be able to do each job from the entire raid. So, to allow players to have some freedom over choosing or selecting who’s going to do what job, while that’s strategically interesting, and it’s led to a bunch of really cool strategies, it actually doesn’t align with the goal for the encounter. So that is an example of a case where we would make a change. I’ve seen a lot of people complaining about how they’re at level 23 and they’re not going to get to the raid, or they don’t have five people to play with. How do you feel about the fact that a lot of people who play Destiny probably won’t play the raid? Are you happy generally, with the sort of length, difficulty, substantialness of the raid? I’m generally happy… that’s vague. We’re a pretty self-critical group that’s always looking to do better and improve, and I’m so happy that we were able to deliver an experience that people are excited about. That people have talked about, and has led people to continue to engage with the game. We’re so glad that people are enjoying it, and really humbled by it. So now you’ve got a bunch of people who have played the raid, probably more than once, and have gotten really good at it. So does that mean that future raids are gonna be even harder, longer, more mysterious and challenging? We’re not really talking too much about the future of raiding, but I think that one of the things I certainly will say is, raiding in Destiny is establishing a vocabulary. And each raid is going to teach you something different. And over the course of the lifetime of the raids that we’re building, we’re going to be teaching you a variety of things along the way. We’re so excited to do that. If I pick up raid gear, is that going to be useful in future raids? One hesitation I have about leveling up my raid gear is, it gives me a bonus for killing oracles, but I play a lot outside of the raid, and there are going to be future raids and future strikes. Are some of those abilities going to carry over? The bespoke usefulness that you’re talking about that with respect to the oracles, or the praetorian bonuses, those are going to be specific to the Vault of Glass. But the power level that comes on that gear will be valuable going forward. Why doesn’t Ghost have any lines in the raid? That was a really conscious choice. You’re talking with your five buddies, the ghost that’s your companion through the game is that other voice, but with five friends, the voice is your five friends. Those are your companions through that experience. What is the technical difference between a Praetorian and a Minotaur? I’m remiss to describe too much about the technical difference between their behavioral setup, but they are assuredly different. If one person activates a chest during the raid, do other players risk missing out on the loot in that chest, or can everybody get the loot when they get to it? We actually got some custom support to make sure that, unlike other areas of the game, when you activate a chest, where they can go away or dissolve if you’re in the activity, the raid chests will stay open and they won’t dissolve. If you’re running a little bit behind getting to one, it’ll still be there. Our group has formed some pretty strong bonds over our struggles in the raid – have you noticed the same thing among the community? People who play the raid together and then form teams and stick together? Yeah, we absolutely are seeing that. That’s an awesome narrative, one of the things that we’ve talked about a lot here is, one of the things that binds you together in that activity is the collective failure of your effort. [laughs] Your effort forcing you to try, again and again, update your strategy. It’s building camaraderie. I’ve talked a lot about how the raid is a lot like a ropes course. It’s us teaching you how to be a group. If you look at how the activity is building groups and pulling people together, we hope that people play the raid together and end up meeting someone new and having a new friend, someone new to play with. So you guys have said you’re adding matchmaking to high-level strikes, but I don’t think I’ve seen anything about the raid. Have you considered adding matchmaking to the raid? We definitely have heard people talk about wanting matchmaking for raids, the thing that I’ll say about matchmaking and raids is, that activity has a bunch of constraints and different goals that would make making matchmaking for it potentially jeopardize those goals. I think that people are craving different types of experiences. Giving people an opportunity to have different types of experiences in Destiny, of which I would say raiding encapsulates a number of different types of experiences, that’s an opportunity for us to grow moving forward. Is the Vault of Glass team still together, and working on future raids? Yeah, the Vault of Glass team is absolutely still together. That group of guys is up to something else that we’re really excited about, and we’re also looking to grow the raid team here. We’re aggressively looking to continue to hire for that team, and to make sure that that team continues to grow, to meet the weight of expectations. Can we expect the Vault of Glass to change, or get any new modifiers? Some sort of more substantive change beyond just the hard difficulty? Nothing really to talk about with that right now. I think that long term, we have a piece of great content, so [we’re asking], how can we make that timeless? How can we capture what’s good about it, put it in a bottle, and let players always come back to it and have a great time there? I don’t want to say that’s something we’re gonna solve in the next couple months, but it’s certainly something that we’re going to be looking at going forward.